The Through Line is a show about building a better future for kids. Host Damion LeeNatali weaves together stories and voices of educators, innovators, and entrepreneurs – and the education system they envision necessary to prepare our kids for the future they deserve. The debut episode poses the question, “In a world changing as rapidly as ours, are we equipping kids with the tools needed for success?” The Through Line is produced by Teach For America Colorado. Earlier this month, Denver Public School teachers voted to strike. The issues are complex, and have steep consequences for students and educators alike. 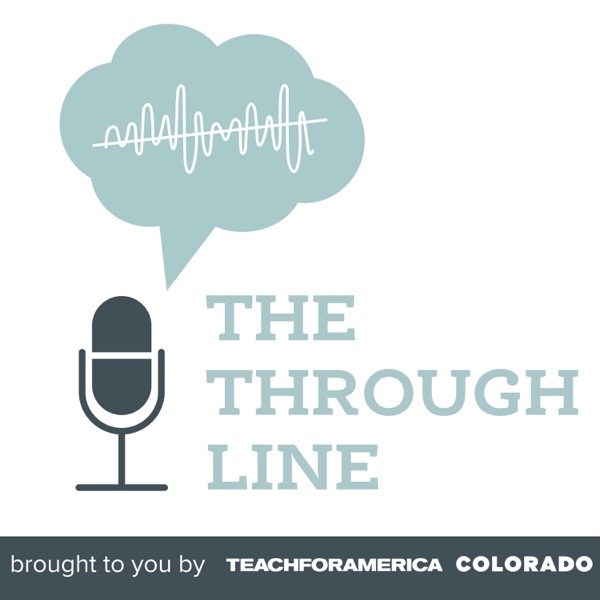 In this episode of The Through Line, host Damion LeeNatali interviews a panel of 5 guests on all sides of the debate, including a student, a teacher, an expert in teacher compensation and school performance, and representatives from both DPS and the teachers union. If you enjoyed Episode 2 of The Through Line, listen now to host Damion LeeNatali’s full conversation with Antwan Jefferson, Professor at University of Colorado Denver. If you enjoyed Episode 2 of The Through Line, listen now to host Damion LeeNatali’s full conversation with Morris Price, Executive Director of City Year Denver. If you enjoyed Episode 2 of The Through Line, listen now to host Damion LeeNatali’s full conversation with Arthur Brooks, President of the American Enterprise Institute. If you enjoyed Episode 2 of The Through Line, listen now to host Damion LeeNatali’s full conversation with Jessica Pfieffer, Social Worker specializing in brain science and trauma. During such a polarized time in America, doing hard things often seems...hard. In the second episode of The Through Line, we explore what it would take for our country to come together to do something incredible on behalf of our children and the responsibility each of us have in making that possible. If you find yourself wondering, “how did we get here and how do we move forward?” this podcast is for you. If you enjoy The Through Line, listen now to host Damion LeeNatali’s full conversation with high school junior, Haley Valdez and principal of STRIVE Prep RISE, Elisha Roberts. If you enjoy The Through Line, listen now to host Damion LeeNatali’s full conversation with Farrah Martin, CEO of Aman STEAM Academy Inc. and Josh Scott, Co-Founder of Craftsy. If you enjoy The Through Line, listen now to host Damion LeeNatali’s full conversation with Wisdom Amouzou, Co-Founder of HadaNou Collective and Exectutive Director of Empower Community High School. If you enjoyed episode one of The Through Line, listen now to host Damion LeeNatali’s full conversation with Ted Halbert, veteran English Language Teacher. If you enjoyed episode one of The Through Line, listen now to host Damion LeeNatali’s full conversation with Chad McWhinney, CEO and co-founder of McWhinney and Carrie Morgridge, Chief Disruptor of The Morgridge Family Foundation. The debut episode of The Through Line poses the question, “In a world changing as rapidly as ours, are we equipping kids with the tools needed for success?” Special guests including Wisdom Amouzou, Carrie Morgridge, Farrah Martin, Josh Scott, Haley Valdez, Chad McWhinney and Ted Halbert speak to their visions of the future of education, and the work they’re doing to make it a reality for kids.